Google has signed a deal with NASA that will see it take control of Moffett Federal Airfield in California. As TechCrunch reports, the tech giant has already been using the airfield as a base for the company’s fleet of private jets. Now, Google will take over operations of the sprawling airfield, but it will continue to be owned by NASA. The lease will last for 60 years. It’s not actually Google that will run the airfield, however, but its subsidiary company, Planetary Ventures LLC. Moffett Airfield is currently used by NASA, the National Guard, as well as the 7th Psychological Operations Group (that’s the army division that flies helicopters with loudspeakers and leaflets). The base features three large hangars that can be used to store Zeppelin airships. 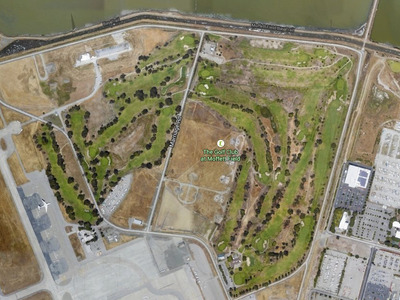 Google had already secured a lease for a different section of the airfield, where it plans to build a new Google campus to house the tech company’s employees. Now it will control the three giant hangars, an airfield flight operations building, two runways, and even the airfield’s golf course.